1st Lina Chegodaev (Australia); 2nd = Campbell Hill (New Zeland) & 2nd = Ivan Liashenko (Australia). 1st Marko Matic (Croatia), Jedda Kassis (Australia), Mathilde Auroux (Australia). 1st Nick Shcherbakov (Australia), 2nd Amelia Granturco (Australia). 1st Nick Shcherbakov, 2nd Dominique Granturco. 1st Joana & Malcolm Irving. 1st Kenneth Liu, 3rd Christine Kroon. 1st Christopher Tavernese, 2nd Dominique Granturco. 1st = Jedda Kassis, 1st = Nick Shcherbakov. 1st Marko Matic, 2nd= Kenneth Liu, 2nd = Ivana Jovanovic, 3rd Jacob Imin. 1st JAC, Jedda Kassis, Amelia Granturco, Christopher Tavernese. 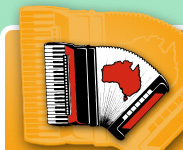 1st Accordion Society of Australia NSW Division Orchestra.